Our highly effective ground stabilisation techniques, technologies and materials have been developed for mining and civil applications. We supply a diverse range of complementary skill sets tailored to our clients’ needs, offering a solution for almost any slope stabilisation scenario. Our services range from rock scaling and meshing in open cut mining, to ground anchors. In civil we have extensive works with government authorities, stabilising slopes adjacent to roads, rail and water assets. We are on call for emergency works after seismic or extreme weather events, despatching rapid response teams to site to solve and make slopes safe after failure or elevated risk. We can develop both short and long-term solutions using an in-house engineered combination of ground anchors, soil nails, rock bolts, cable bolts, dowels, mesh, rock fall fences, shotcrete and buttress walls. When public safety is at risk, our experience and mobility can mean all the difference. 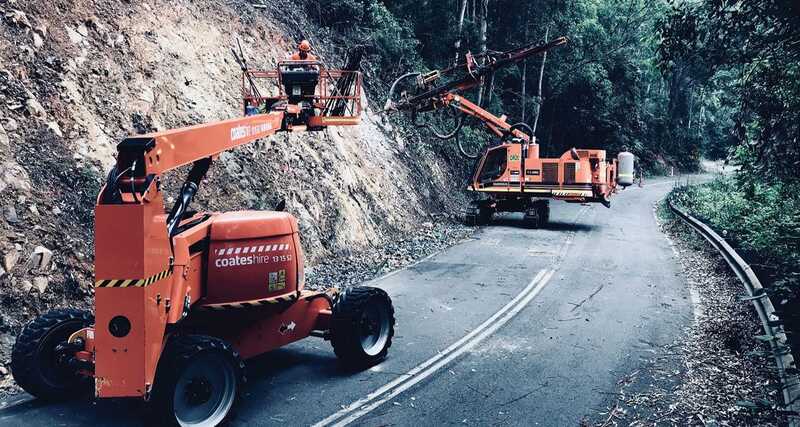 SRG Global undertake a range of ground and slope stabilisation projects for civil works including embankment and slope stabilisation, road and rail cuttings rockfall protection, debris and erosion control, excavation support for infrastructure and temporary and permanent ground anchors. SRG Global’s Geotech team has extensive experience in undertaking ground support and stablisation works for mining clients. Typical works include wall stabilisation, rockfall protection systems, ramp protection and reinstatement, erosion control, geotechnical instrumentation, mesh drapes and netting, w-straps and cable lacing as well as shotcreting and fibrecreting. SRG Global can provide services for underground works including portal supports, drives, pillar, intersection and draw point supports, stoping and dilution control, decline and drive rehabilitation and shotcreting and fibrecreting. SRG Global’s Geotech division also provide highly trained and experienced operators for industrial rope access. We are aligned to internationaaly recognised standards through membership to the industry body IRATA.